Remarkable Marketable Me: The Harlem Globetrotters ~ Even pushing 80, former Globetrotter Meadowlark Lemon is still " Clown Prince of Basketball"
The Harlem Globetrotters ~ Even pushing 80, former Globetrotter Meadowlark Lemon is still " Clown Prince of Basketball"
Meadowlark Lemon shooting one of his famous half-court hook-shots. Hi, Jean Robb here. 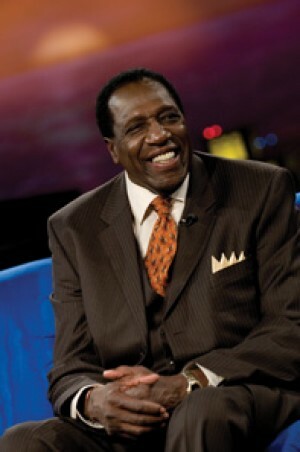 It's such a pleasure to help spread the word about Meadowlark Lemon's community efforts to help others along with his ministry. 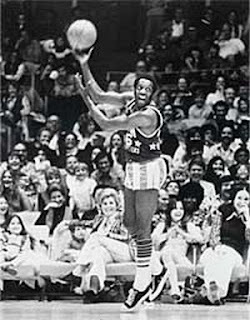 Meadowlark Lemon, who's been described as an American institution and is in both the basketball and clown halls of fame, is still going strong, He left the Globetrotters more than 30 years ago but the "ageless" Clown Prince of Basketball is still not retired. "Because I left the Globetrotters, it didn't mean I retired," he says from the Scottsdale, Ariz., home he shares with wife Cynthia and the two youngest of his 10 children. "I left one company but kept on doing the same job for another." He left the Globetrotters, he says, to bring more balance to his life. An ordained minister and Christian evangelist, he awakens daily at 4 a.m. Then, after stretching, shooting baskets and running wind sprints for 2½ hours, he turns to his ministry. As an evangelist, he says, he makes more than 100 appearances a year. Though his focus is on the present and future, he'll happily relive his famous past. Everywhere he turns, it seems, someone is reminding him of a favorite Globetrotters routine. "I'm happy with what we were able to accomplish," Lemon says of his Globetrotters run. "I like what the president called us: 'America's goodwill ambassadors in short pants. '"Which president? "All of them," Lemon says. Meadowlark will be featured in the February 2012 magazine . Here's just a small peak at the story! The man walks into the Wilmington Hilton lobby wearing navy blue warm ups. On the jacket: “The Harlem All-Stars.” He passes a small table covered with magazines and papers and approaches another, where a journalist from a basketball magazine sits. The journalist is in his early 20s and thinks the man is looking at him like, Who is this kid that’s about to interview me? But that’s not what the man says. Instead he stretches out his huge right hand, smiles a huge smile and says, “Hey there, son, Meadowlark Lemon.”The kid laughs and says, “Yeah, I know, it’s incredible to meet you.”Every couple of years, he comes back here, to Wilmington, NC. Lastnight he played basketball downtown at Cape Fear Community College’s Schwartz Center. 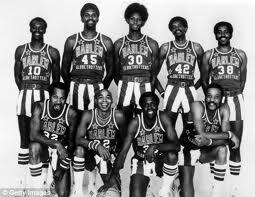 It was packed and a little musty and Lemon played against grown men young enough to be his grandsons. He still looked good out there. Sure, it’s not a few decades ago; he moved slower and wore a brace on his right knee. But he’ll tell you that he’s not getting old, just old-er. His legs still rippled, muscular. He still knew the ball like it was part of his soul. He still had a small afro, and his socks and shoes were still white. So were his teeth, and that’s good, because he still always smiles. He was still totally Meadowlark. It was a small gym. The bleachers ran right beside the court. Close to the legend as they’d ever been, fathers—grown men—smiled like giddy children and pointed open-mouthed and gushed to their sons, acting just like those kids would if they saw superstars LeBron James or Kobe Bryant this close. thousands with his smile and a hook shot as timeless as the sea. And win, of course. Then Lemon will fly home. But first, he picks up the magazines on the table and shuffles them together and then lays them down in a neat pile, and somehow the whole room seems a little better than when he walked in. Beyond the basketball court, he also is a man with a message. In his book, he illustrates the determination it took to overcome poverty, racial prejudice and many other roadblocks that would have sidelined most any other individual. His story reminds us that we are capable of seeing beyond the color of our skin or our financial status to the potential of our human spirit and the endurance of our determination. Lemon, who was inducted into the Basketball Hall of Fame in 2003, delivers loving reminiscences of his youth, hilarious stories about his days with the Globetrotters and wise instructions for living a joy-filled life. Click on the link above to see the book Details ! Learning, camaraderie, improvement, Fun, Fun, Fun! Camp Meadowlark, is a boys and girls basketball camp and clinic, founded by Meadowlark Lemon, the focal point of the Harlem Globetrotters for over 24 years. Meadowlark has entertained millions of fans young and old, all over the world. He is a man who loves kids and has put together a complete teaching program to teach youngsters the important skills and fundamentals of basketball. In his camps, Meadowlark will emphasize four attributes of basketball: physical, psychological, social and spiritual. The Meadowlark Lemon Show is broadcast nationally and internationally each week on the Trinity Broadcasting Network (TBN). Reaching a potential audience of over 30 million people, Meadowlark talks to successful athletes and entertainers who attribute their success in life to Jesus Christ. 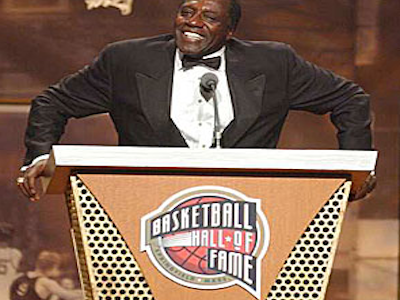 The mission of this broadcast, featuring Meadowlark Lemon and others – all considered heroes in the eyes of their fans – is to present the Greatest Hero through the lives and testimony of famous sports and entertainment figures. In each program the viewer has the opportunity to discover the common truth in the lives of these people. These heroes are, in fact, very normal people who may do extraordinary things, yet are made truly heroic by the presence of Jesus Christ in their lives.